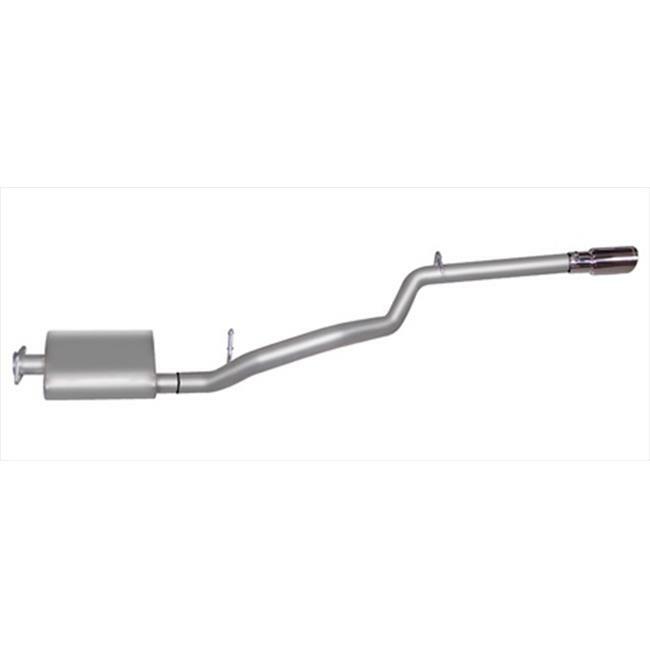 Cat-Back Performance Exhaust System, Single Straight Rear. Because Jeep enthusiasts need Power from idle to 3000 RPM, Gibson designed their jeep Exhaust to enhance low and mid range Power for climbing and towing. This single Exhaust exits straight out the back, Complemented with polished Stainless Tip. Hassle free, bolt-on installation with professional looking results. Use jack stands when under the truck, block tires and use safety glasses and gloves. Do not work with hot pipes!